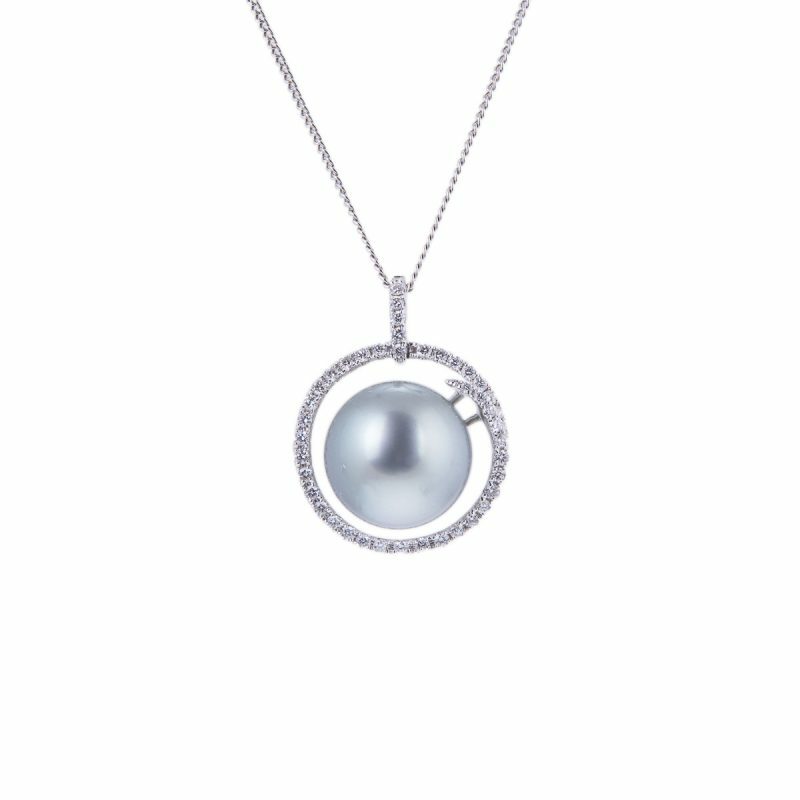 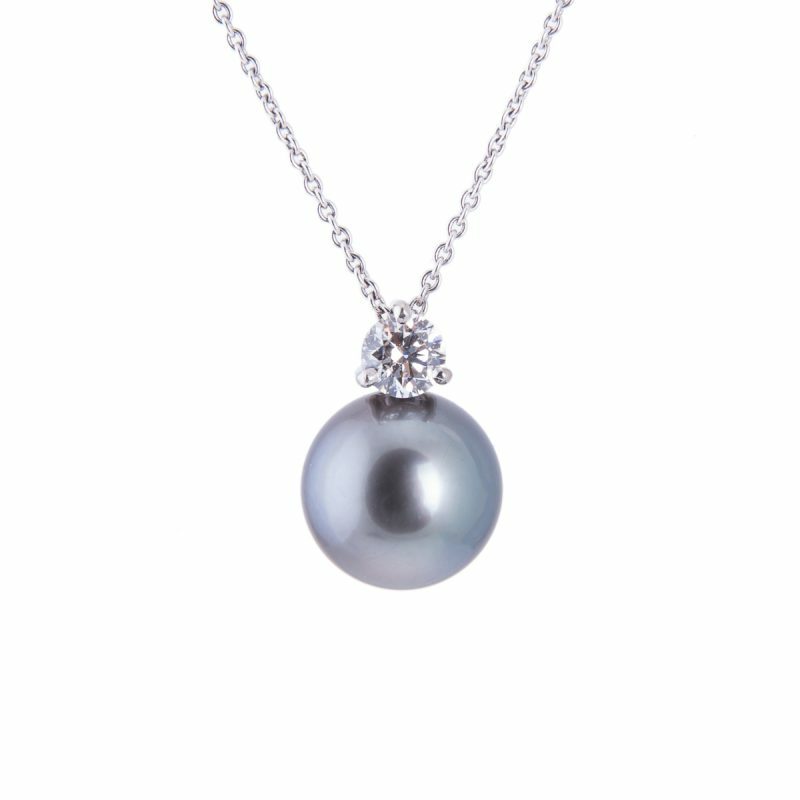 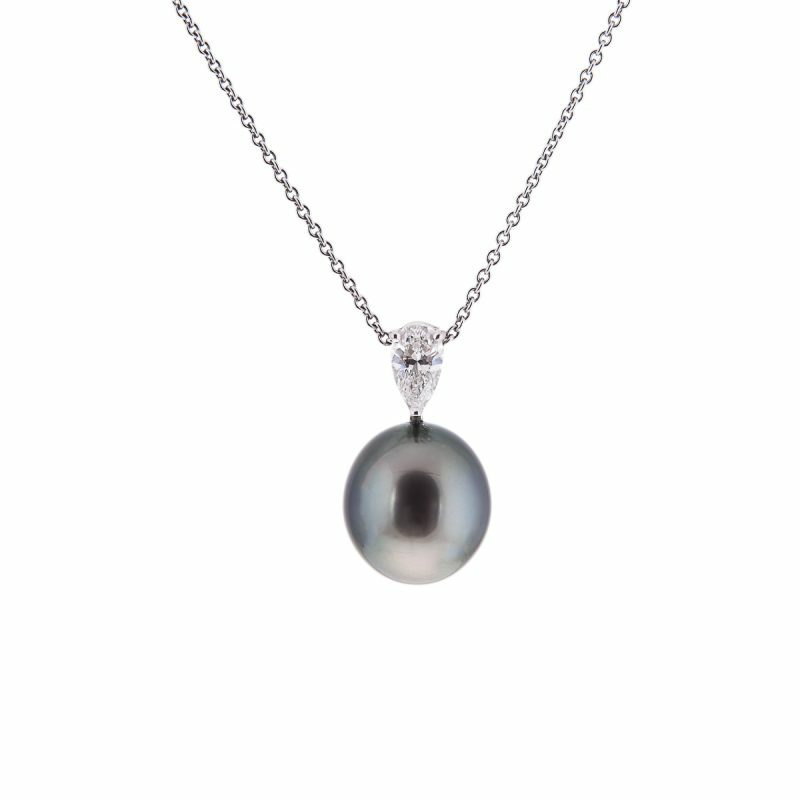 A single black Tahitian pearl and diamond drop pendant, all mounted in 18ct white gold. 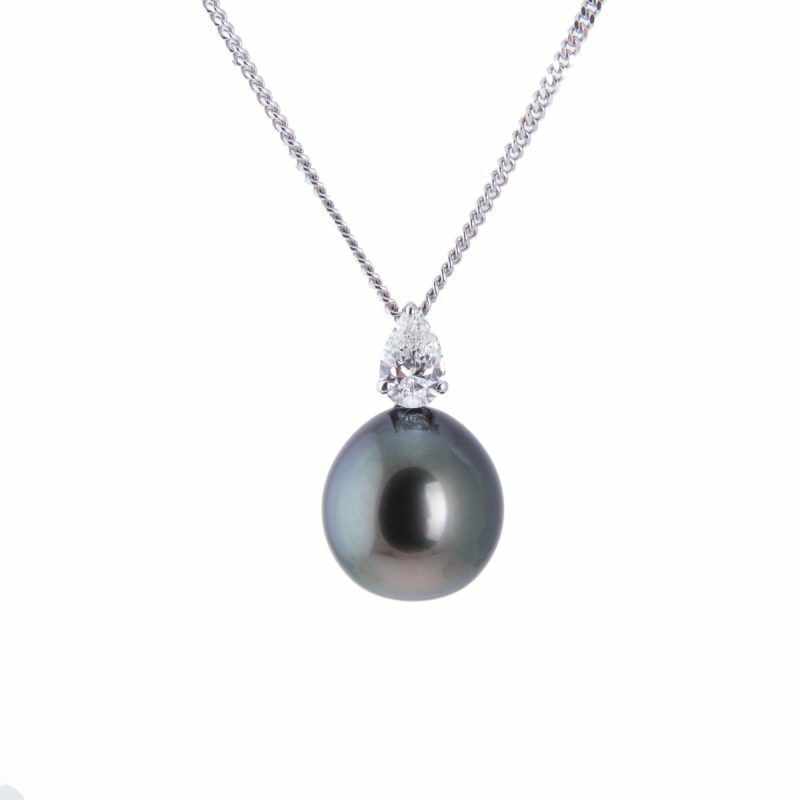 To set you apart from the crowd, with this black Tahitian pearl suspended from a pear shaped diamond. 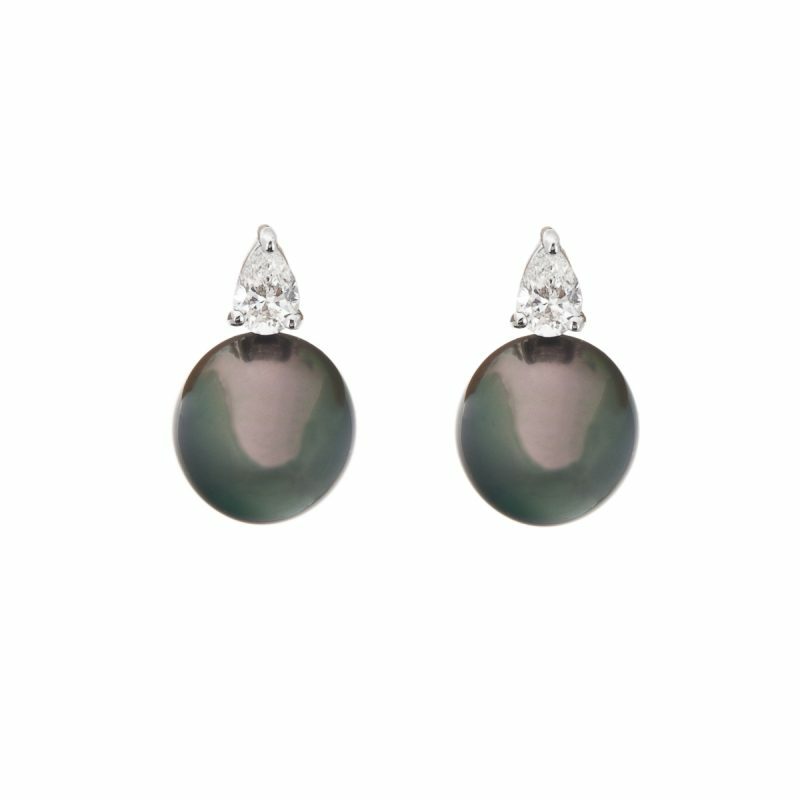 Pure style destined for the individual who knows her own mind.